Travel trailers are a fantastic option for people who are new to RVing and want an inexpensive and easy to tow option. 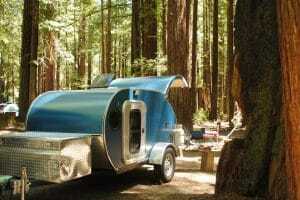 Many travel trailers can be towed by regular full-size pickups and SUVs. Some small trailers may even be able to be towed by smaller SUVs or cars. It really depends on what you’re looking for. Travel trailers come in various sizes, and one that many people often worry about is height. They want a travel trailer that is high enough to provide good headroom when you’re inside the unit, but they don’t want to have to worry about what can happen when they go under low bridges or overpasses and many are curious if it will fit in their garage. I’ve seen several people ask about the average height of a travel trailer, recently, so let’s take a closer look at this particular topic. 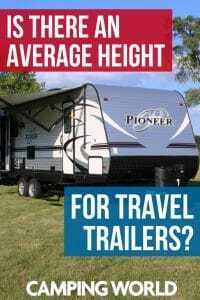 Is There an Average Exterior Height for a Travel Trailer? If you look around at all of the travel trailers on sale today, the exterior height of the trailer varies from model to model. However, most land somewhere between 10 and 11 feet high. Some travel trailers come with almost 12-foot high roofs, but that’s rare. Other travel trailers are far shorter than 10 or 11 feet. In general, the larger the unit, the higher the roof is. A height of 10 to 11 feet allows most travel trailers able to go under bridges and overpasses with ease. With that said, you need to know the exact height of your RV and ensure that you pay attention when going under low bridges and overpasses. On the flip side, the average garage door is about seven feet high. Some are higher, and more people are installing higher garage doors due to the fact that trucks and SUVs are getting taller. With that said, even a 10-foot tall garage door will likely not be able to accommodate your travel trailer, even if the length will fit. It’s important to note that many travel trailers have racks, antennas, and air conditioning units placed on top of them as well. This means the height specified by the manufacturer may not be accurate for your rig. Before setting off, make sure you measure from the highest point of your travel trailer. What About an Average Interior Height? Travel trailers have lower ceiling heights than many other RV types. Many have six-and-a-half-foot ceilings. However, that’s not all units. 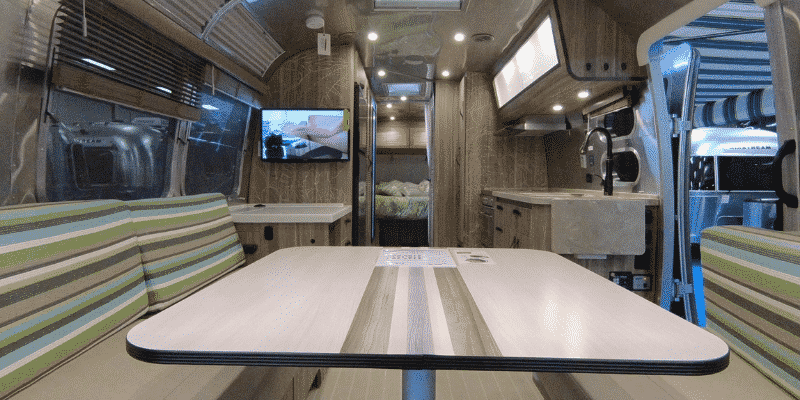 RV manufacturers know that people like higher ceilings so, you should be able to find a travel trailer with a ceiling height up to or in some cases over seven feet. Even with models with an 82-inch (six foot, ten inches) or higher ceiling, you need to be aware that the ceilings in slides won’t be as high. Some manufacturers do a good job of keeping their slides large. While others have slides with short ceiling heights. This sometimes isn’t that big of an issue due to the fact that many slides house seating, like chairs or sofas so you don’t actually stand inside them. 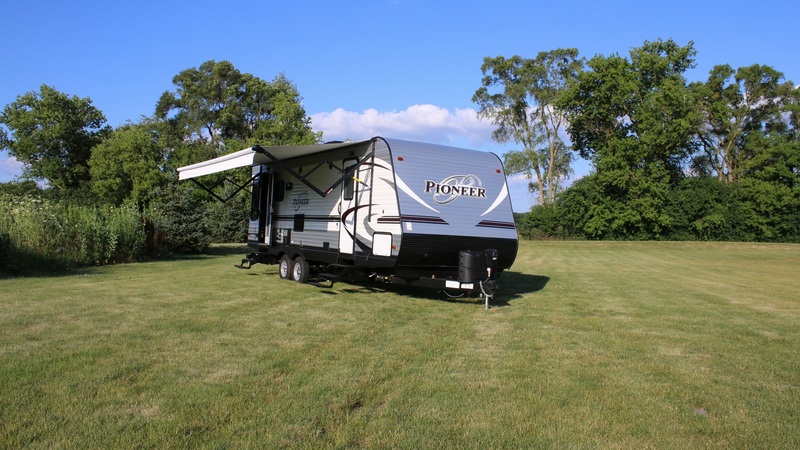 If you can’t find a travel trailer that has the exterior or interior height requirements you need, consider a fifth-wheel instead. 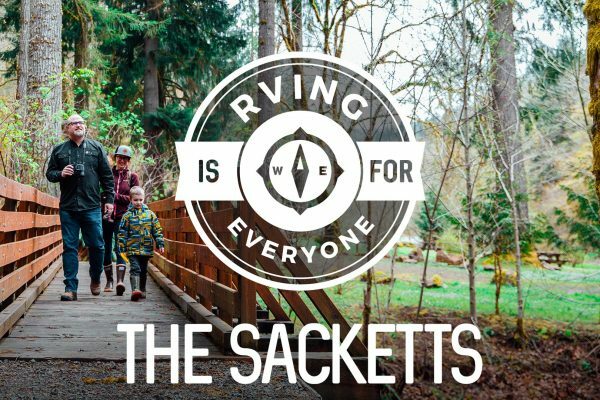 There are many more fifth-wheel RVs with higher ceilings and exterior heights than travel trailers. How high are your travel trailer’s ceiling and exterior roof? Leave a comment below.